be travelling with the Dead Rat Orchestra, who will undertake a unique tour across the canals and waterways of Southern England. 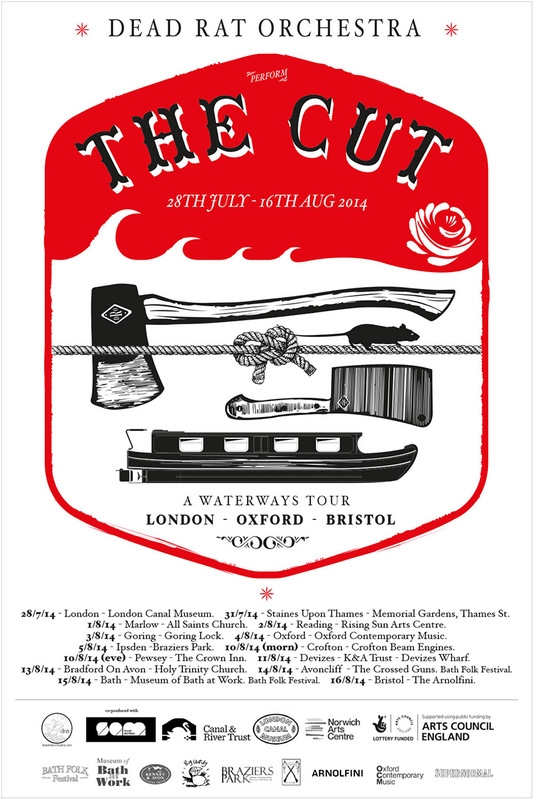 Cut tour presents a new challenge to the DRO – a barge and the canals themselves provide a slow moving base from which the music will take form. September 9, 2014 | Filed under Uncategorized.